I just take a supreme and customise it, as it has the most ingredients. So I just pull some worthless ones off and replace with chicken and prawns. You can make two ingredient changes without charge and take off as many as you like. Why are you putting so much sauce on? it must be a sloppy mess. I add crème fraîche on the base and hollandaise on top. Last edited by griefmaker; 1st February 2019 at 9:37 pm. Burger King finally joined Uber eats. Your move KFC. I see dominos are getting desperate for sales. They've started embedding themselves into other sites to trigger browser push notifications. It's Waitangi Day tomorrow so put your feet up and let the professionals do the work! 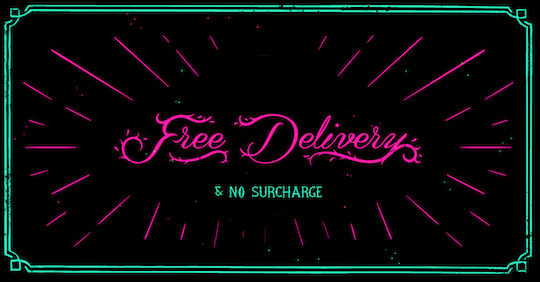 On Waitangi Day, all HELL stores are offering FREE DELIVERY when you spend $25 or more online. Plus, of course at HELL you won't be charged a surcharge with your order on any public holiday. Plus, of course at HELL you won't be charged a surcharge with your order on any public holiday. Thats not a selling point when none of your competitors do. Domino's has had a sneaky price increase. That now gets a $2.50 extra charge, didn't last week or every other time i have used it. Edit:Looks like you only get one sauce free now after the 5 (incl moz cheese) main items. How do you have so much sauce? Jfc. That was a trial my normal would be -1x butter sauce and minus the ranch, so 4 sauces Good on those Extra Large pizza's for an extra $3. PLU201W is a great KFC deal for the next week. 10 Chicken, 1xlge Potato, 1xlge Coleslaw and 1xlge Chips. $26. 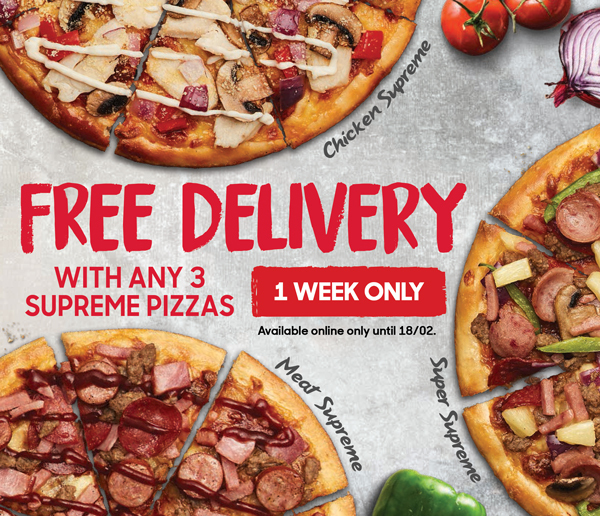 14765 - 50% off pizzas for 10 days. Pickup and delivery. 50% off Traditional and Gourmet pizzas at Dominos: 43203. Expires 20/02. Lucky. Must be a staggered roll out. Not available for me yet but we did get burger king recently. Probably, i'm in CHCH and I've had BK since Nov last year. Probably the next update Uber will announce Carl's Jr. nationwide. Mcdonalds and Uber eats have teamed up to give away a free Filet-o-Fish burger. One per order. Just use the code FREEFOF. Delivery fee still applies. Expires on Sunday. Last edited by huntakillaz; 1st March 2019 at 1:15 pm. *All offers expire 31st March 2019. Offers are available individually and not available in conjunction with any other offer. Standard T&C’s apply.